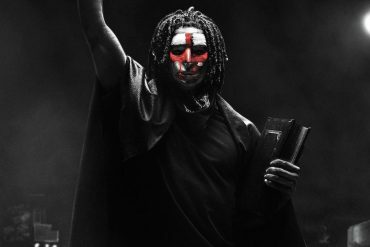 There’s a theory espoused by former Grantland editor Bill Simmons that sometimes people are just ready for certain movies; that the success of some films is predetermined by a shared cultural desire, and that it doesn’t necessarily matter how good or bad a film is—it will do well on the grounds that people are in the mood for something like it. He went on to say that he thinks that this generation, whatever this generation is, was ready for a “boxing movie”. 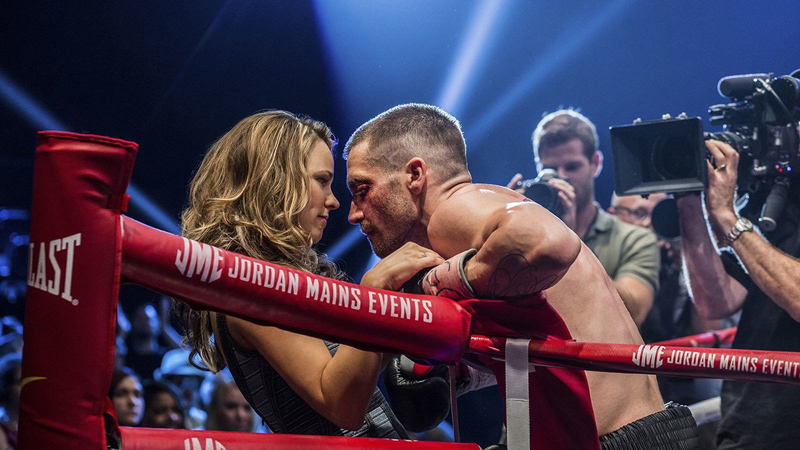 Southpaw positions itself as that movie and, true to the theory, it’s neither good nor bad. Southpaw is in fact a movie that’s more than happy to coast along on mood and memory alone, with shot-after-shot and plot piece after plot piece lifted from the often fine but mainly flawed tradition of boxing movies. It’s an exercise in brutality, masculinity, and the transformative powers of loss in life, as much as it is a love-letter to the linear narrative of a loser’s vindication.. but what it’s not is in anyway interesting or new. The recent trailer for Creed—a forthcoming boxing movie about the descendant of a secondary character in a movie that spawned a series of shoddy sequels—looks like it has more originality than Southpaw. And that’s saying something. Even the extraordinary physical transformation of Jake Gyllenhaal feels facile. Surely he wouldn’t have persisted with thousands of sit-ups a day for Sons of Anarchy writer Kurt Sutter’s lifeless, ten-a-penny script. Unless, of course, his abdominals are only influenced and inspired by missed opportunities and discarded side stories. Gyllenhaal plays Billy Hope and is ripped and ruthless in the ring, beginning the story as boxing’s biggest star: a self-destructive, celebrated and animalistic loon with rousing roar, dangling arms, beautiful family, and muscles on his muscle’s muscles. Following the tragic death of his beloved, devoted wife—played with a fascinating fragility by the always excellent Rachel McAdams—Hope’s self-destructive side, previously manifested in his willingness to take whacks to the chin, becomes a problematic streak of substance abuse and booze-guzzling, resulting in him losing everything and returning to the poverty and ambling loneliness that defined his early years. 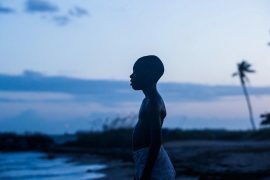 Antoine Fuqua directs the film with a silky fluency—pace and power are weighed smartly against one another throughout—but for every rich, romantic shot of blood on canvas, there’s an unforgiving moment of predictability in a story that undermines his obvious skill and the cast’s solid performances. 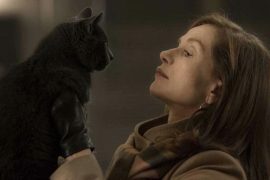 In scenes with the laconic Forest Whitaker, who plays a trainer that takes Billy under his wing following his fall from grace, Fuqua is keen to slow things down, and there is something to be said for this movie’s quieter moments—they have a heft and a heart and a tightly-framed anxiety that’s unquestionably indulgent but absolutely necessary in an otherwise vacuous two hours. You sense that there is a riskier film somewhere in Southpaw that almost arrives in these moments. Whether in contemplation with his trainer, or through conversations with his estranged younger daughter, whom his return to the ring is ultimately for, Billy’s retreat from wild lion with a skinhead to clawing cat with a heartache feels like a melodramatic 180 that only someone with Gyllenhaal’s talents could comfortably commit to. And so, despite by misgivings with the movie—which I found fascinating in its commitment to the downright dull—I am grateful it exists, for providing us another outlet for Gyllenhaal in his slow but largely stunning pursuit to eventually holding film’s most famous golden trophy. Fleetingly, he maintains his terrific run of performances, but this is a momentary jab at greatness as opposed to his previous haymakers. 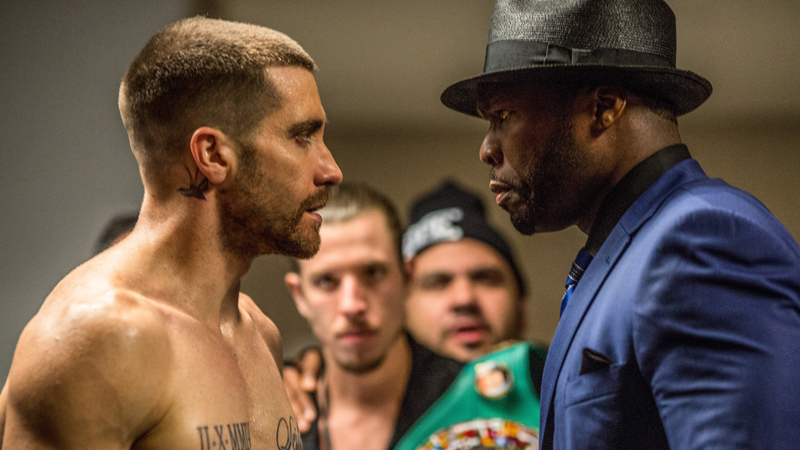 Southpaw is, more than anything else, an utterly cynical shimmy-shimmy into the Academy’s tired grasp (they love boxing almost as much as they love biopics about royalty), and if they fall for it we can all just pretend Jake’s accepting for his performance in Nightcrawler or End of Watch—roles where the ambitious attitude of one of our finest actors was not undercut by the dopey tropes of films spent on the ropes. Bennett Miller’s Foxcatcher was an exemplary movie about men and sports, for many reasons , but one of the most beguiling characteristics of that gloomy 2014 masterpiece was how the experience of watching the film mirrored the actions of the athletes. That is to say that his movie about wrestling felt like a heavy grapple with your emotions; a suffocating and static body-lock. A slow side roll into breathless tragedy. Southpaw singularly fails to match up the majestic power of the movies with the sweet science of the sport. At its best, boxing is a nuanced and nihilistic dance that twists and turns, ducks and dives. At its worst it follows a well-trod, ugly path, and finishes in bathetic tedium. So perhaps it’s unfair to say that Southpaw fails to mirror the actions of the athletes involved in the sport it focuses on. It just mirrors the boring fights. 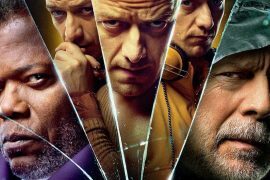 Each era of movie-goers have found a brutal brawler they can back. Balboa, LaMotta and Flynn perhaps the most iconic examples, and Jake Gyllenhaal’s Billy Hope has been created and seemingly carved with the stressed intention of joining this group—unfortunately for Gyllenhaal the movie is much like his six-pack—the product of hard work, and beautiful to look at, but basically only there for show. starring: Jake Gyllenhaal, Rachel McAdams, Forest Whitaker, Naomie Harris, Victor Ortiz, Curtis '50 Cent' Jackson, Tyrese Gibson, Miguel Gomez, Oona Laurence, Beau Knapp, Rita Ora & Clare Foley.